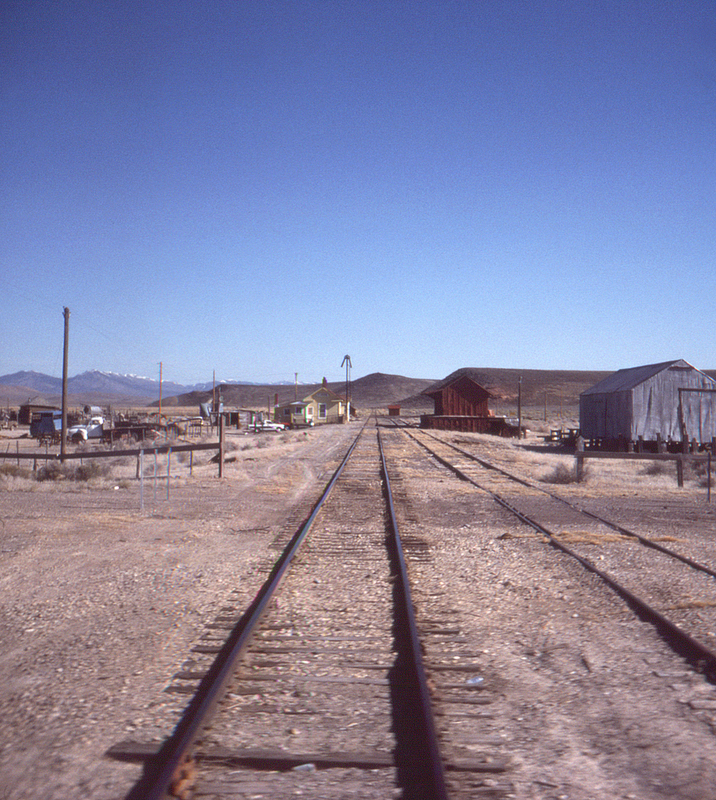 Once north of the smelters at McGill, Nevada, the Nevada Northern faced a long lonely haul across the Nevada desert to reach the Western Pacific at Shafter (44 miles north) and the Southern Pacific at Cobre (18 miles further). Cargo typically consisted of livestock in the Fall, copper blister from McGill, and supplies for McGill and Ely, split about fifty-fifty between the two roads. The small town (and train order office) of Currie, about 63 miles north of McGill, was probably a welcome relief to crews. This is the view from the U.S. Route 93 grade crossing.